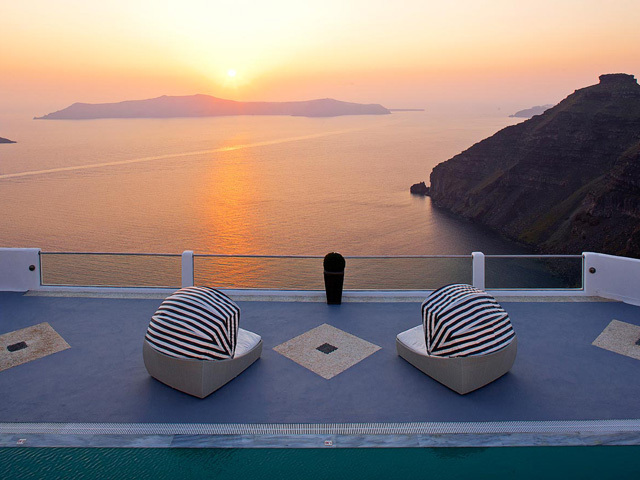 Belvedere is located in Fira, the beautiful and vibrant capital of Santorini. Suites build with respect to the Aegean architecture including the latest and the finest amenities, promising you to pass the more relaxing and calmness vacations during your visit to the unique one travelers’ destination. Swimming Pools: The swimming-pool of Belvedere hotel is absolutely one of the most beautiful spots in Belvedere. Belvedere Suites offer a wide range of wedding packages and they can create the suitable for you, the one that will be the materialization for the wedding of your dreams. They will be your friends and your guides for the creation of a perfect reception or for the arrangements of your honeymoon in the best available prices. Ask for Belvedere’s Suites tailor made wedding packages and make your wedding the best thing you and your guests have ever lived. 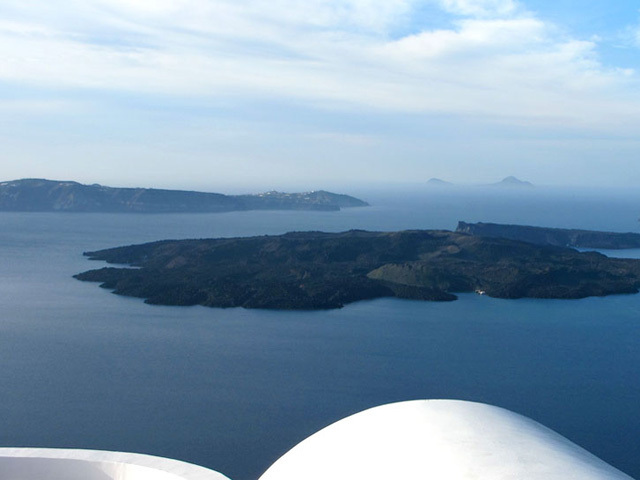 From Belvedere Suites open pool area you can enjoy your breakfast, or your sunset having your favorite cocktail, sitting in front of the Aegean Sea and the brathtaking view of the unique caldera of the Island, created by the erruption of the volcano. Delightful refreshments, snacks and cocktails are served from the stunning pool bar giving the complete summer feeling. 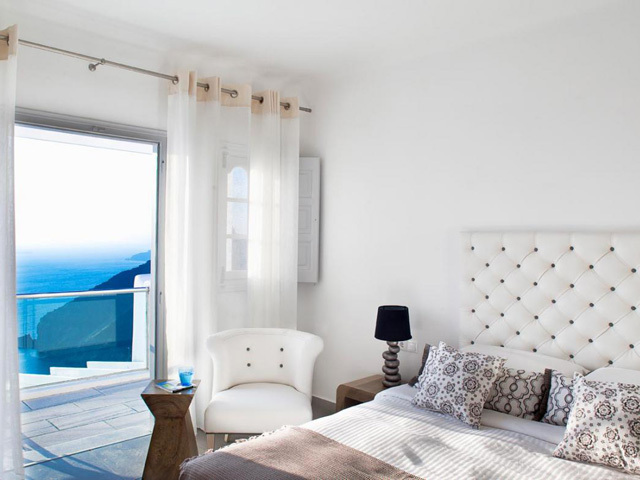 The rooms of Belvedere Suites in Santorini are designed with a touch of luxury and furnished with a breathtaking range of facilities to make your stay comfortable. 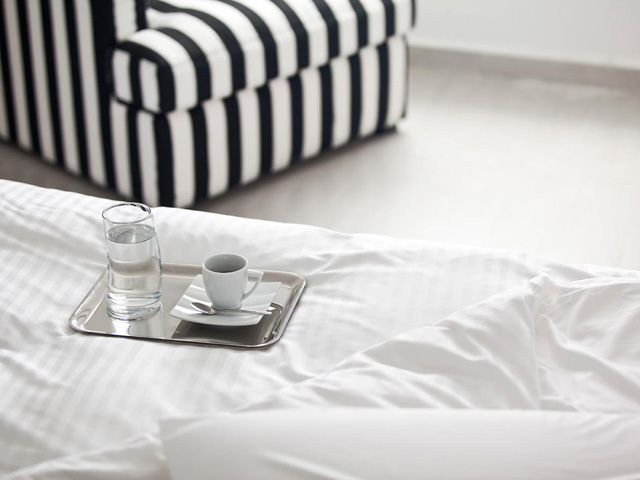 These rooms are beautifully appointed and perfectly equipped including a comfortable Queen size bed for the ultimate sleep experience, bathroom with amenities. 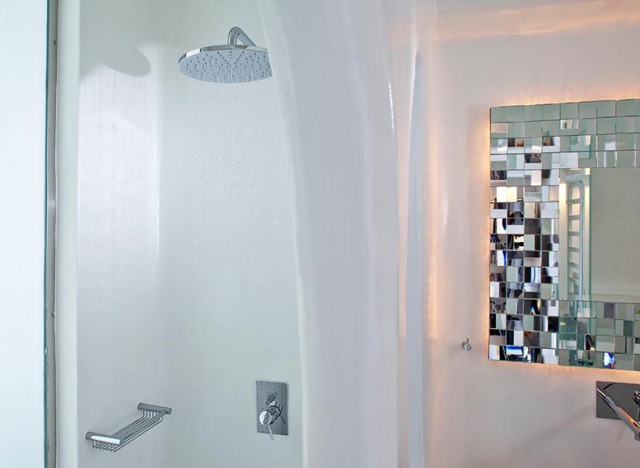 The bedrooms are tastefully designed and lavishly furnished with magnificent bathrooms and rain showers reflecting the latest in design and technology. 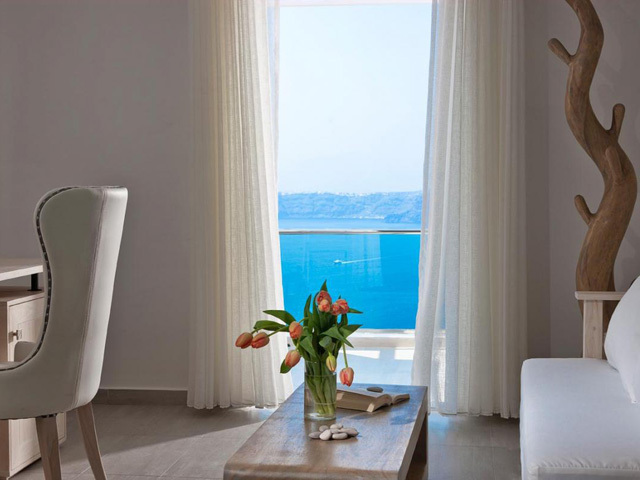 These type room on Belvedere Suites are perfectly created to the smallest detail, decorated in light tones of white, with traditional simplicity, "dressing" the unique stylish character of Belvedere Santorini luxury hotel. Offering the standard benefits of air conditioning, mini bar, telephone, safe, rain type shower bathroom and also a big plasma television with satellite and musical channels. 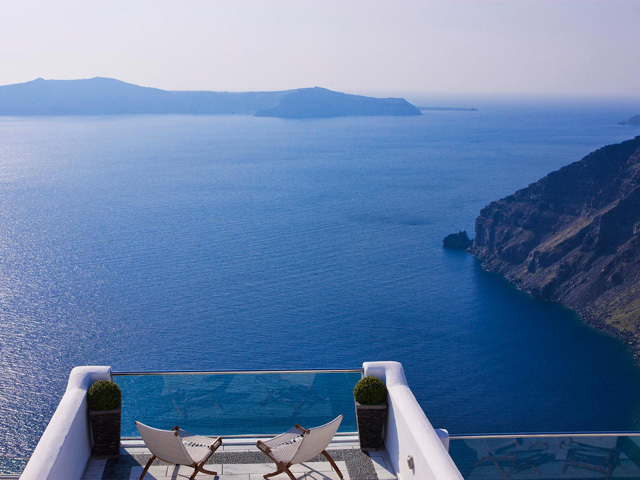 From your balcony you will enjoy the view and unique moments of relaxation. 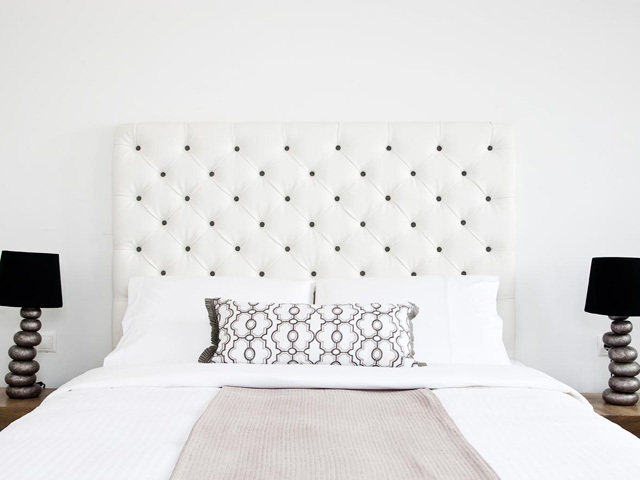 The 3 junior Belvedere suites with the exceptional atmosphere and the elegant decorative details are specifically drawn for those who seek comfortable and stylish accommodation. 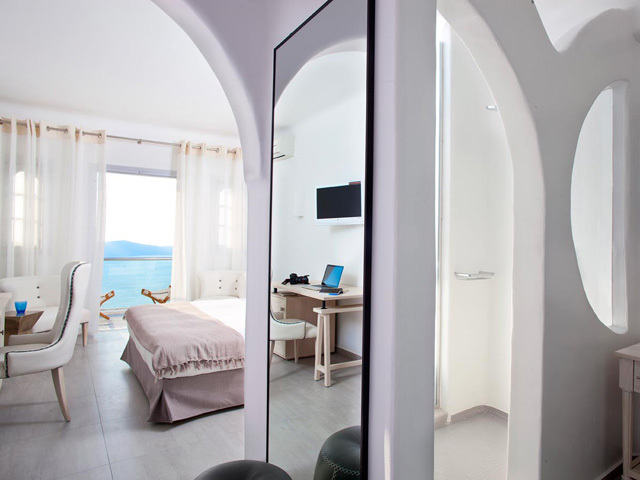 Air conditioning, mini bar, telephone, safe, bathroom with rain type shower and plasma television is at your disposal, while the magnificent view in the sea and the volcano fills you with unforgettable feelings. 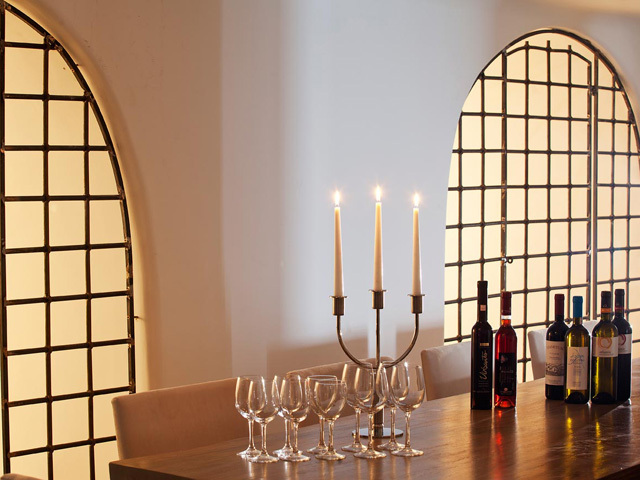 The 5 vip Belvedere suites are made for those who are chasing the best. Made in two levels, with lounge, bathroom in the ground floor and separate bedroom, vip suites can accommodate up to 4 people. Splendid decoration, comfort, endless view and naturally unique design will satisfy every single sentiment. All standard benefits of air condition, mini bars, telephone, safe, bathroom with rain type shower and plasma television with satellite and musical channels are found at every vip suite. 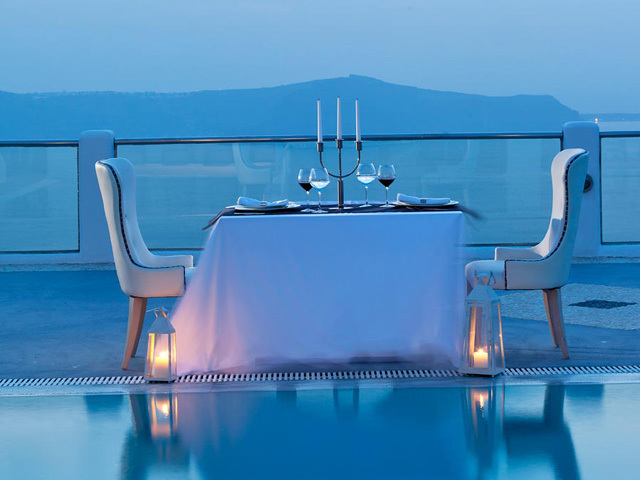 It is the ideal type of room for honeymooners that want something exceptional for their stay. 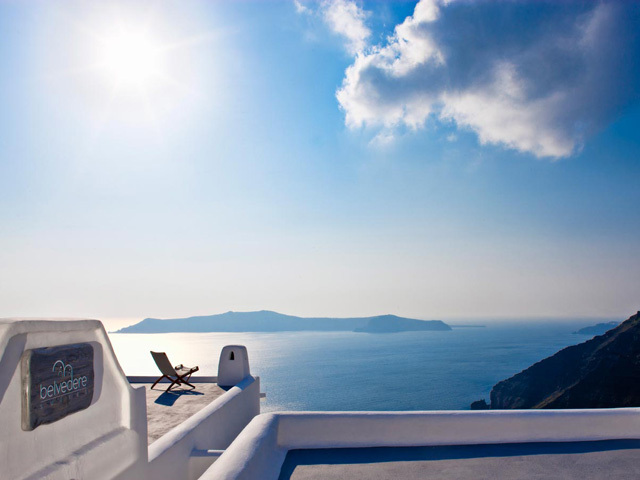 Belvedere Suites Santorini is situated in the peaceful village Firostefani, just above the islands capital Fira. 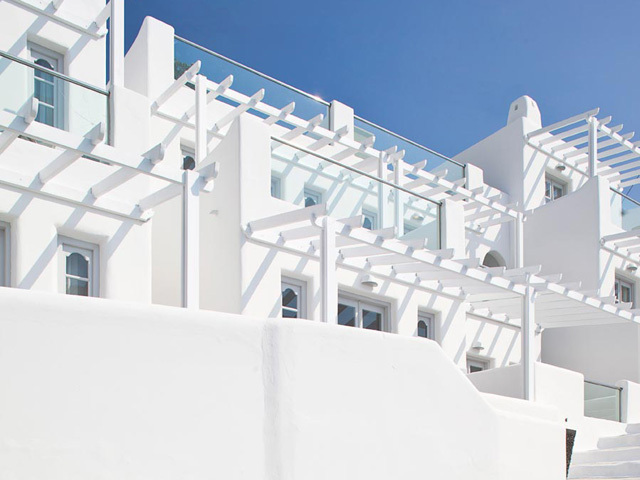 A newly constructed hotel located on the Cliffside 900 feet from the sea overlooking the islands of Thira and the Agean. 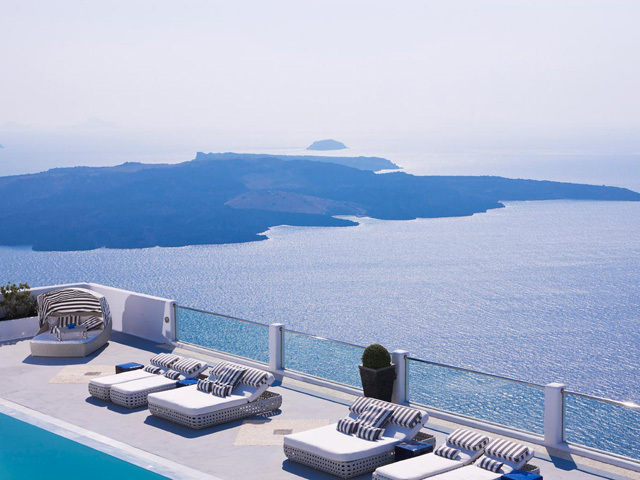 Belvedere Suites Santorini is a few minutes walk from Fira the capital of the Santorini with many shops, restaurants and bars, and close by are a few traditional restaurants and mini-markets. Open: April to October... Belvedere Suites offers the unique chance to take the power of the true Santorinian landscape with you with the view from the balconies and the premises of Belvedere Hotel. 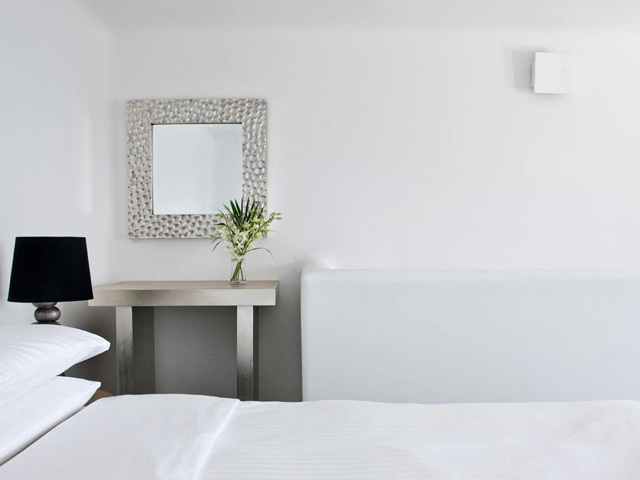 White is the dominant color in our suites....and creates a harmonic environment, an elegant surrounding and the ideal place for relaxation and recreation.